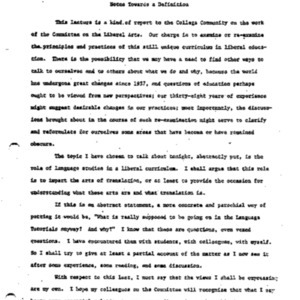 Transcript of a lecture given in the fall of 1964 by Charles Bell. 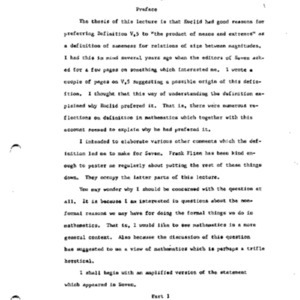 Transcript of lecture given on February 23, 1973 by Dean Haggard. 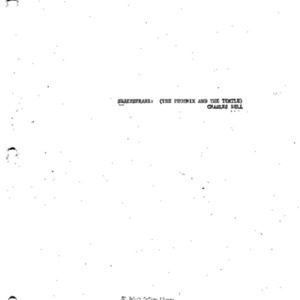 Transcript of a lecture given on November 14, 1975 by William Darkey. 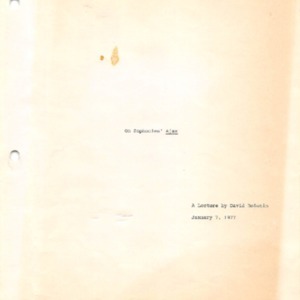 Transcript of a lecture given on January 7, 1977 by David Bolotin as part of the Dean's Lecture and Concert Series. 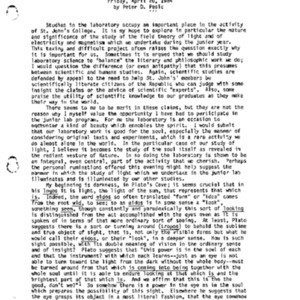 Transcript of a lecture given in 1980 by John Cornell. 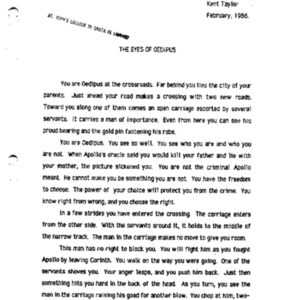 Transcript of a lecture given on February 8, 1980 by Kent Taylor as part of the Dean's Lecture and Concert Series. 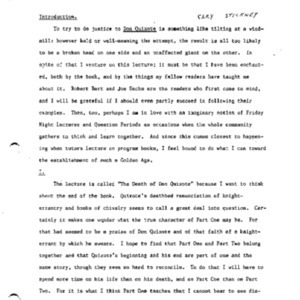 Transcript of a lecture given on December 11, 1981 by Charles Bell at St. John's College in Santa Fe. 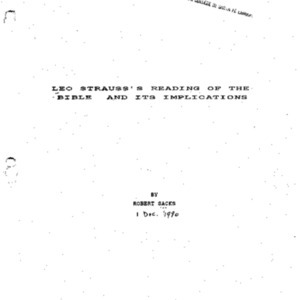 Transcript of a lecture given on September 23, 1983 by Robert Sacks as part of the Dean's Lecture and Concert Series. 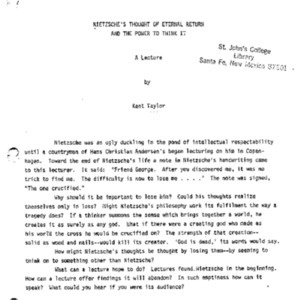 Transcript of a lecture given on October 21, 1983 by Kent Taylor as part of the Dean's Lecture and Concert Series. 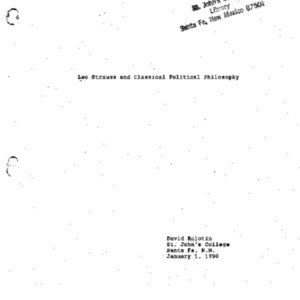 Transcript of a lecture given on April 20, 1984 by Peter Pesic as part of the Dean's Lecture and Concert Series. 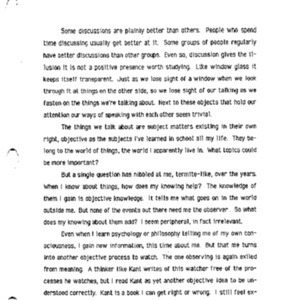 Transcript of a lecture given in February 1986 by Kent Taylor. Thucydides : circa 460-400 B.C. 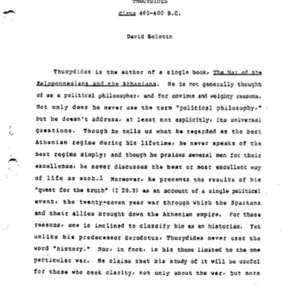 Transcript of a lecture given on May 19, 1986 by David Bolotin. 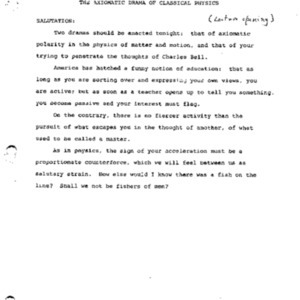 Transcript of a lecture given on September 26, 1986 by Hans von Briesen as part of the Dean's Lecture and Concert Series. 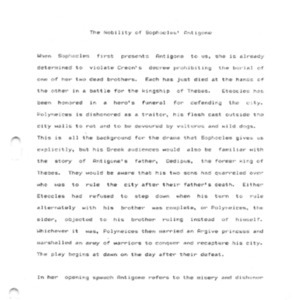 Transcript of a lecture given on October 31, 1986 by Janet Dougherty as part of the Dean's Lecture and Concert Series. 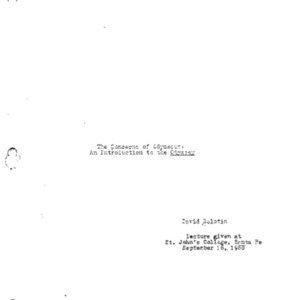 Transcript of a lecture given on September 16, 1998 by David Bolotin as part of the Dean's Lecture and Concert Series. 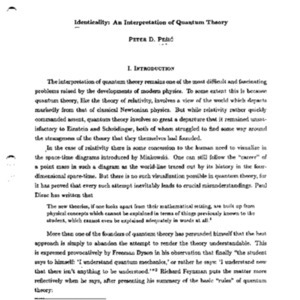 Transcript of a lecture given on December 2, 1988 by Peter Pesic as part of the Dean's Lecture and Concert Series. 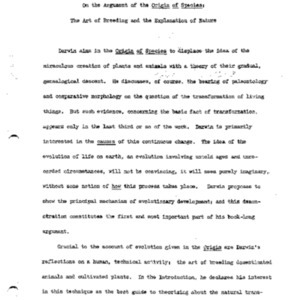 Transcript of a lecture given on January 1, 1990 by David Bolotin. 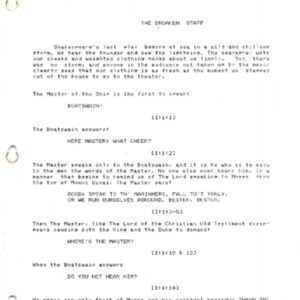 Transcript of a lecture given on September 21, 1990 by Cary Stickney as part of the Dean's Lecture and Concert Series. 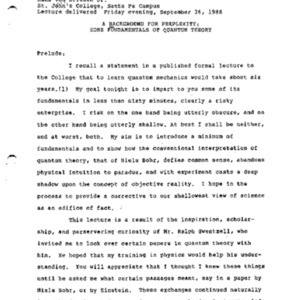 Transcript of a lecture given on December 1, 1990 by Robert Sacks. 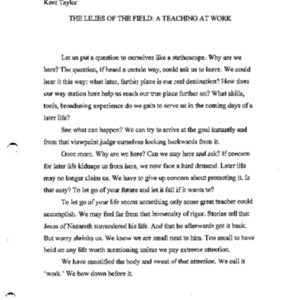 Transcript of a lecture given in September 1991 by Kent Taylor.